A study of how penguin populations have changed over the last 30,000 years has shown that between the last ice age and up to around 1,000 years ago penguin populations benefitted from climate warming and retreating ice. This suggests that recent declines in penguins may be because ice is now retreating too far or too fast. An international team, led by scientists from the Universities of Southampton and Oxford, has used a genetic technique to estimate when current genetic diversity arose in penguins and to recreate past population sizes. Looking at the 30,000 years before human activity impacted the climate, as Antarctica gradually warmed, they found that three species of penguin; Chinstrap, Adélie and southern populations of Gentoo penguins increased in numbers. In contrast, Gentoo penguins on the Falkland Islands were relatively stable, as they were not affected by large changes in ice extent. A report of the research is published in the journal Scientific Reports. 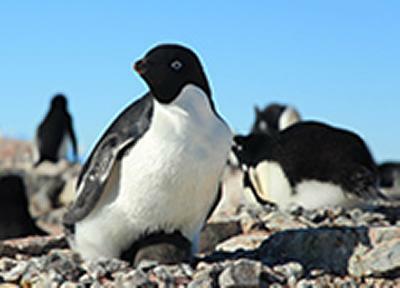 Lead author of the paper, Gemma Clucas, from Ocean and Earth Sciences at the University of Southampton comments: “Whereas we typically think of penguins as relying on ice, this research shows that during the last ice age there was probably too much ice around Antarctica to support the large populations we see today. The penguins we studied need ice-free ground to breed on and they need to be able to access the ocean to feed. The extensive ice-sheets and sea ice around Antarctica would have made it inhospitable for them. Dr Tom Hart of the University of Oxford’s Department of Zoology, an author of the paper, continues: “We are not saying that today’s warming climate is good for penguins, in fact the current decline of some penguin species suggests that the warming climate has gone too far for most penguins. To estimate changes in penguin genetic diversity, the researchers collected feathers and blood samples from 537 penguins in colonies around the Antarctic Peninsula. The scientists then sequenced a region of mitochondrial DNA that evolves relatively quickly. Using the rate of mutation of this region of DNA as a calibration point, the researchers were able to chart how the size of these populations has varied over time. The team working on the project included scientists from the British Antarctic Survey and also US scientists from Oceanites Inc, Woods Hole Oceanographic Institution, and the University of North Carolina, Wilmington.